The 'Smurfs' star admits he took the hallucinogenic drug "once" but would avoid taking it again because he did not enjoy the experience. He said: "I've had my fair share of fun. I tried acid, once. But I think it had been watered down or something. So it wasn't apparently, what it was supposed to have been. "But I do remember lying outside in Mexico, where it happened. There was a tree outside and suddenly the limbs of the tree became frogs handing upside down. That was understandably, the last time I did that. But yeah, I danced with the frog devil." 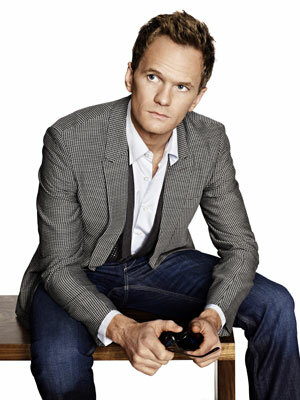 However, the 'How I Met Your Mother' actor – who works in TV, film and on stage - admits he is a very lucky person because he gets to enjoy a career he loves in various formats. He added: "I'm on of the luckiest people around these days. Not only do I get to act in a TV show that I love, as a hilarious character, but I now get to dabble in big movies."